Acura builds an amazing product, and their reputation as a luxury performance vehicle stands head and shoulders above its competition. It should come as no surprise that residents of the greater Houston area and The Woodlands love driving around the great state of Texas in the comfortably equipped Acura MDX SUV. Notable for its striking aesthetics, technology and performance, when our dealership receives a used Acura MDX on trade, it does not take long before someone purchases it! 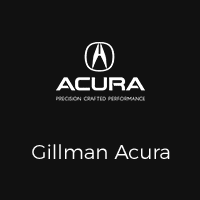 All of our used cars, trucks and suvs are meticulously inspected by our certified, trained technicians through our Team Gillman multi-point review process.Check out the informative table below to quickly scan and shop our Used MDXs available for sale. PRO TIP – Use the filters on the left side of the inventory to sort our available vehicles by price or year! Terms & Conditions: Pricing and availability are subject to change at any time. Our Used MDX Suvs are competitively priced to acquire a Good Deal rating in the market. Financing available. Looking for a clean, well-cared for 2018 Acura MDX? This is it. Drive home in your new pre-owned vehicle with the knowledge you're fully backed by the CARFAX Buyback Guarantee. This SUV is a superb example of what a tough, work focused vehicle should be. Exceptional towing, acceleration and torque will help you get the job done. Pull up in the vehicle and the valet will want to parked on the front row. This Acura MDX is the vehicle others dream to own. Don't miss your chance to make it your new ride. Just what you've been looking for. With quality in mind, this vehicle is the perfect addition to take home.